The Lion Program is designed Kindergarten-aged boys and girls! Research shows that childhood development accelerates around ages 4 and 5, about the time youth begin formal education. That’s where Scouting comes in. Lions is a family-oriented program! A youth and his parent or caring adult partner join Scouting together. A group of six to eight boys or girls and their adult partners meet together in a group called a den. Dens meet approximately twice per month. Lions have fun participating in den meetings and outings while making memories together. 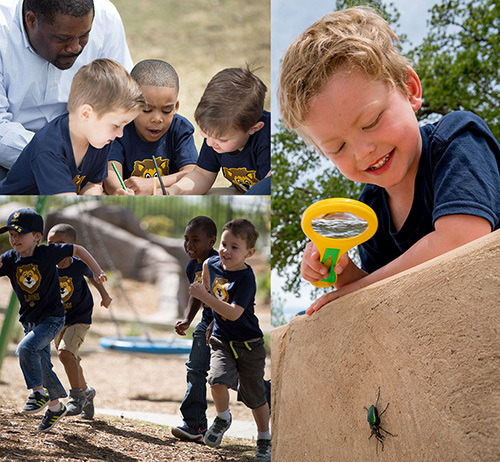 The Lion pilot encourages boys and girls to learn and explore through hands-on, high-energy activities. Adult partners take turns leading a den meeting or outing during the year. Most meetings and outings are approximately 45 minutes in length. The Lion program has the same mission as the rest of the Scouting program, but is simple, extremely flexible and a great way to introduce families to Scouting. A Lion learns by doing things themselves while having fun. As he or she learns and grows, the relationship with their adult partner grows as well. We hope to have the early enthusiasm caused by this, stay with the youth through the rest of their Scouting experience. At the conclusion of their kindergarten year, the Lion will transition to Tiger Scout and continue on their journey through Cub Scouting. Lions are recognized for their accomplishments as they work toward the Lion badge. The Lion badge is earned by completing five adventures. Adventures are completed during the den meetings and outings. When an adventure is completed, the youth receives a sticker to put in his keepsake Lion Adventure Book. 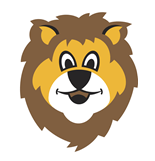 The Lion program is made up of 12 adventures. Each adventure is designed to help your child have fun and learn useful things. Earning the five required adventures leads to your child achieving the Lion badge. In addition to the five required adventures, there are seven elective adventures that the Lions in the den may earn for further fun and enrichment. It is not expected that Lions will complete all 12 adventures. BSA suggests that dens complete the Lion’s Honor adventure first, however there is no required order for the remaining adventures. 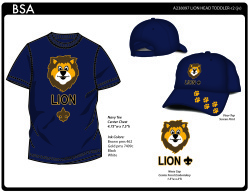 The uniform for Lions is a Lion T-shirt with and cap. The Lion guide wears the same official adult uniform as other Cub Scout leaders in the pack. 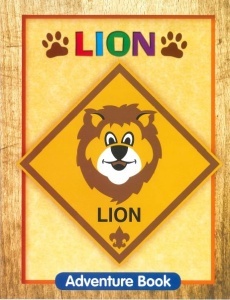 To find out more information about our Lion program or Pack 142, please email info@pack142.net.